Transport & Logistics | RM-SLOVAKIA s.r.o. Our company RM - SLOVAKIA, s.r.o. operates in the international market since 2008 and its main activity is the Export/Import of goods in international traffic throughout the EU. We offer comprehensive services in transportation, distribution of goods and supplies. 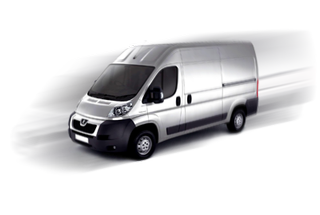 We use its own fleet of vans with a total weight of 3.5 tonnes. Our vehicles are driven by trained and reliable drivers. For larger shipments we have contract carriers and charter carriers on routes. CMR load insurance is the norm. The purpose of transportation to deliver the shipment as soon as possible to their destination. Your shipment will be delivered in a timely manner and order.